Each of these core principles is described in more detail below. Goals-based investing simply refers to the idea that investing is best pursued with a clear purpose in mind. Investing merely for profit or gains creates an attitude of “chasing returns” and results in a deviation from the principles and strategies described below. On the other hand, investing for specific life goals and future events naturally leads an investor toward a strategy that balances risk, optimizes returns, and leads to a high probability of realizing life goals. “Asset allocation is both the process of dividing an investment portfolio among different asset categories, and the resulting division over stocks, bonds, and cash. This process of determining which mix of assets to hold in a portfolio is a personal one. The asset allocation that works best at any given stage in an investor's life will depend largely on the need, ability and willingness of the investor to take risk. These depend on the investment time horizon and on both the investor's financial capacity and emotional capacity to tolerate risk and to stay the course. “While this may sound like a daunting task, there are straightforward guidelines to help in selecting an appropriate asset allocation. “How much in bonds? How much in Stocks? That's the basic question of asset allocation. The more risk you can handle, the less bonds you need. When you are young, your prime earning years lie ahead, and it will be decades before you need to access the money. So, higher stock allocations may be suitable since big drops in stock prices will not hurt as long as you do not flee the market. John Bogle advises that ‘as we age, we usually have (1) more wealth to protect, (2) less time to recoup severe losses, (3) greater need for income, and (4) perhaps an increased nervousness as markets jump around. All four of these factors suggest more bonds as we age.’ "
“Global diversification essentially means purchasing asset classes and sectors both inside and outside the U.S. One of the easiest ways to do that is by purchasing shares in an ETF or mutual fund that gives you exposure to overseas securities. “By diversifying globally, you can potentially balance the performance of your portfolio. For example, some economists and other financial experts believe the value of U.S. stocks may be too high, after years of steady gains, according to a recent story in Forbes. “At the same time, some analysts forecast that western Europe is poised for growth in the coming years, after many years of recession and sluggish stock market growth. “Similarly, emerging markets have the potential for important stock market gains–by some estimates, as much as three quarters of global growth and consumption could be driven by emerging economies in the coming years. While stocks in emerging markets have taken a trouncing in recent years, there are indications they’re making a comeback in recent months. “Value investing is based on the principle of buying companies at a discounted price from their perceived intrinsic values. "Similar to how a bargain hunter searches multiple department stores to find the lowest price on a high-quality cashmere label, value investors look to buy high-quality companies at discounted prices. “Tax-efficient fund placement, [also known as Asset Location], is an issue facing investors holding assets in multiple accounts, both tax-advantaged and taxable accounts. The tax code recognizes different sources of investment income which are taxed at different rates, or, are taxed at a later time (tax "deferred"). An asset's tax efficiency (the impact of taxes on an investment) is affected by both its expected return and the tax rate on such return. 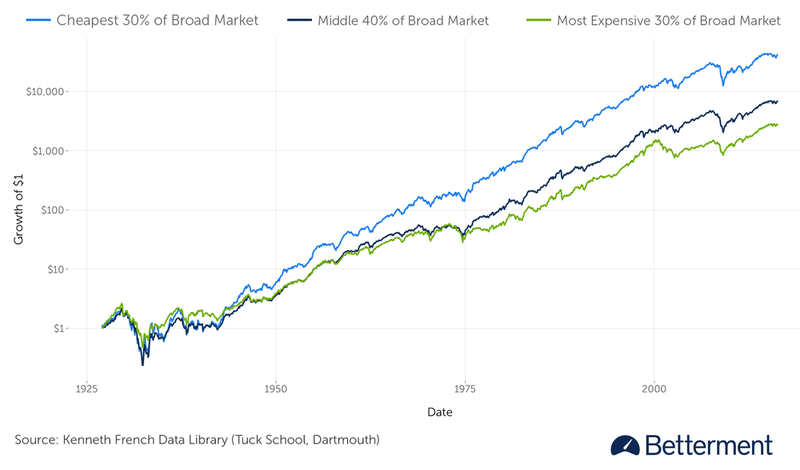 “Some fund types, like total market stock index funds, are extremely tax-efficient, because they produce low dividends (that are mostly qualified) and capital gains. By contrast, bond funds can be extremely tax-inefficient, because the interest they produce every year is taxed at your full marginal tax rate. Other tax-inefficient investments are REITs, small value funds, and actively managed funds that frequently churn their holdings. Put tax-inefficient funds into tax-advantaged accounts to the extent possible." At Wealth Mode Financial Planning, I believe the investment process and your portfolio should be connected to and driven by the personal goals and values of your financial plan. It should be sophisticated, yet not complicated. I also believe in the power of expertise and providing my clients access to some of the best investment minds in the business. To that point, I have partnered with XY Investment Solutions, LLC (“XYIS”) and gained access to their Investment Committee to construct and continuously review our portfolios. Mario’s investment career began with ten years at Vanguard, consulting institutions and financial advisors on investment policy, portfolio construction, Exchange-Traded Funds (ETFs), and trading strategies as a member of Vanguard’s Fiduciary Services and ETF Product Management units. Through a relationship with his firm, East Bay Financial Services, Mario leads the XYIS Investment Committee and provides day-to-day investment support to advisors on the XYIS platform. East Bay Financial Services provides investment management and consulting services for financial planners, nonprofits, and individuals around the world. A CFA (Chartered Financial Analyst) Charterholder since 2003, Mario is Past President of CFA Society South Carolina and is a member of the CFA Institute and the Financial Planning Association. His approach to investments and the industry has been featured in Investment News, NAPFA Advisor Magazine, Charleston Regional Business Journal, The Post & Courier, and The Northeast Pennsylvania Business Journal. A creative innovator and collaborator, Brandon Moss has had a front-row seat to the digital advice revolution, helping build one of the most innovative national RIAs on the planet. He’s acquired a 360* view of the RIA landscape, from being an advisor and running his own firm to designing and integrating some of the most innovative tools in the industry. He has lead, trained, coached, onboarded, integrated, transitioned, (you name it) over 100 RIA firms/wealth management teams. Additionally, he's evaluated and consulted countless other firms. Consequently, he's an exceptional listener and comfortable in many different conversations! Occasionally, he's asked to opine on varying topics, typically Gen X+Y, innovation, client experience and technology. Beyond those topics, he's typically “winging it”. Brandon graduated from Texas Tech University's globally recognized personal financial planning program, then made it through some Executive Education at UC Berkeley's Haas School of Business. He’s also perpetually in online classes trying to figure out something new. Brandon resides in the Dallas/Ft. Worth area with his wife, Shelby, and his identical, mirror-image twin boys, Will and Reese. When he's not with them, he's probably in his garage tinkering, building, or buying way too much golf equipment. 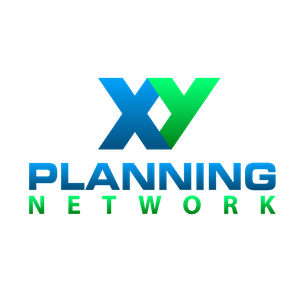 Alan Moore is the co-founder of XYPN, a support network for advisors looking to serve next-generation clients. He is also the CEO of AdvicePay, the first and only compliant payment processor for financial advisors. He is passionate about helping financial planners start and grow their own fee-only firms to serve Gen X & Gen Y clients largely ignored by traditional firms. Alan has been recognized by Investment News as a top “40 Under 40′′ in financial planning, by Wealth Management as one of “The 10 to Watch in 2015′′, and was the first recipient of the NAPFA Young Professional award in 2015. Alan frequently speaks on topics related to technology, marketing, and business coaching, and has been quoted in publications including The Wall Street Journal, Forbes and The New York Times. He is also the host of XYPN Radio, one of the largest podcasts for independent financial advisors. He currently lives in Bozeman, MT so that he can hit the slopes on powder days. Michael E. Kitces is a co-founder of XYPN, the practitioner editor of the Journal of Financial Planning, and the publisher of the e-newsletter The Kitces Report and the popular financial planning industry blog Nerd’s Eye View. Michael is an active writer and editor across the industry and has been featured in publications including Financial Planning, the Journal of Financial Planning, Journal of Retirement Planning, as well as The Wall Street Journal, BusinessWeek, CNBC PowerLunch, NBC Nightly News, and more. Michael is one of the 2010 recipients of the Financial Planning Association’s “Heart of Financial Planning” awards for his dedication to advancing the financial planning profession. Carrie Frye joined the XYPN team in February of 2017 after spending over five years working as Vice President of Operations for a boutique financial planning and wealth management firm in San Diego, CA. She makes good use of this experience in her role as Platform Manager for XYIS. Carrie is dedicated to providing an exceptional solution for advisors. Instrumental in the launch of the XYIS platform, she knows the ins and outs like no other. From the time she walks advisors through the onboarding process, it’s clear she understands the unique challenges they face in financial planning. Connor leads the charge to provide exceptional service to our clients. He earned a degree in finance from Washington State University before working for a non-profit organization in Seattle. A Montana native, he relocated to Bozeman in pursuit of less traffic and more open space. Before joining Team XYIS, he worked as an accountant and in client experience for a local tech company. He now brings his customer-first philosophy to XYIS, ensuring every user has the best experience possible. When he’s not helping our clients, he’s outside with his wife, son, and dog exploring the mountains of Montana or fly fishing his way through any river he can find. Feel ready to discuss your investments with a fiduciary advisor? Let's meet in-person or online to get your questions answered. First meeting is free and comes with no invitation to commit - always.